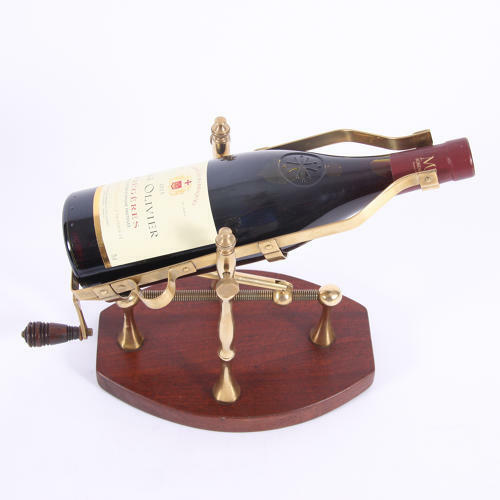 A fantastic brass wine decanter made for transferring a bottle into a decanter wothout stirring up sediment from the bottle. Wind up handle and mahogany base. In full working order with turned wood handle.